Kershaw Flourish 3935. 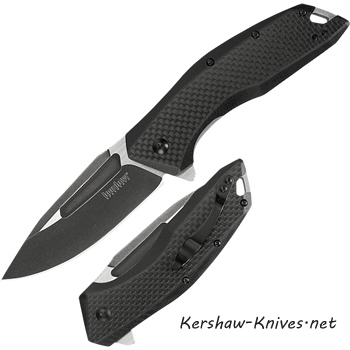 Flourish your Kershaw collection with this gorgeous carbon fiber overlay knife. Everyone will want to get their hands on this model. This is a large sized handle with the smoothest finish. 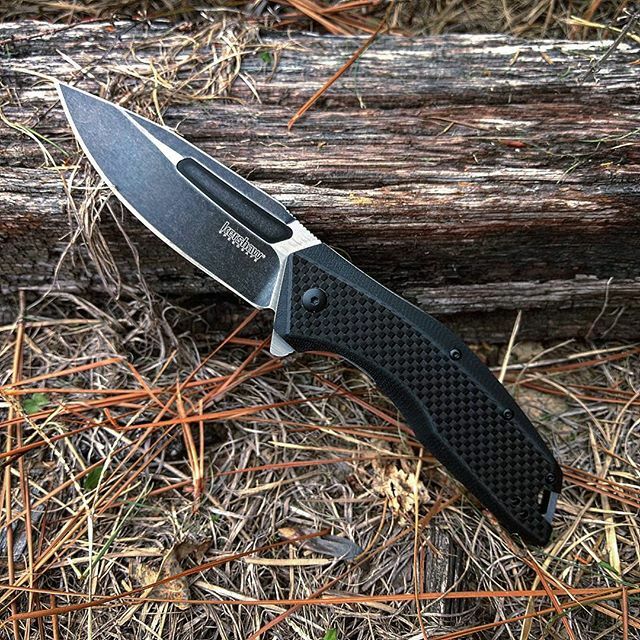 It has G-10 with carbon fiber overlay on the handle and the handle alone is 5 inches long. The blade is 3.5 inches and is made of 8Cr13MoV steel with black-oxide and BlackWash finish and satin flats. What a beauty! The pocket clip can be changed from left to right carry and has a lanyard hole. Liner lock system. Flipper for easy opening. Flourish to great heights with this knife. This one could easily make it into the edc position of many.